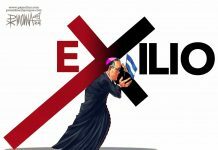 As if it were a déjà vu, many of those who suffered exile and the underground (‘clandestinaje’) during Somocismo (the state of Nicaragua under the dictatorship of Anastasio Somoza García), reedit their situation at the moment with the dictatorship of Daniel Ortega. Oscar René Vargas is one of them. He saved Daniel Ortega’s life once. It was in November of 1967. In that November, the “guardia somocista” (Somoza national guard) unleashed a fierce hunt in response to the murder of Sergeant Gonzalo Lacayo carried out by a Sandinista command, among which was Daniel Ortega and Vargas. They we were out for blood. Following a lead, on November 4 they (national guard) came onto a house in Monseñor Lezcano and captured four Sandinista guerrillas: Casimiro Sotelo, Roberto Amaya, Edmundo Pérez and Hugo Medina. Only Perez had participated in the execution of Sergeant Lacayo. They did not care. The four of them were executed on the shore of the lake. The next day, the Somoza newspaper Novedades reported four guerrillas killed in combat against the national guard. A few blocks from the house where they captured four Sandinistas who later executed, Daniel Ortega and Iván Turcios were hidden and oblivious to what was happening,. Oscar René Vargas and his brother Adolfo rescued them shortly before the national guard reached the safe house. In some private conversations, Ortega has acknowledged: “Oscar René saved my life”. Today, however, Oscar René Vargas is in hiding in a safe house, fleeing from the man who he saved his life that time. He returned to his underground days. “The generalized repression applied by the Ortega-Murillo regime, resembles the repression unleashed by the dictatorship in 1956, after the attack against Somoza García, when his sons unleashed a repression against all opponents and made up charges against many people. In those moments, the generalized repression of the Somoza dictatorship took prisoners of all those they could. However, never, as far as I remember, were the relatives ever taken prisoner. 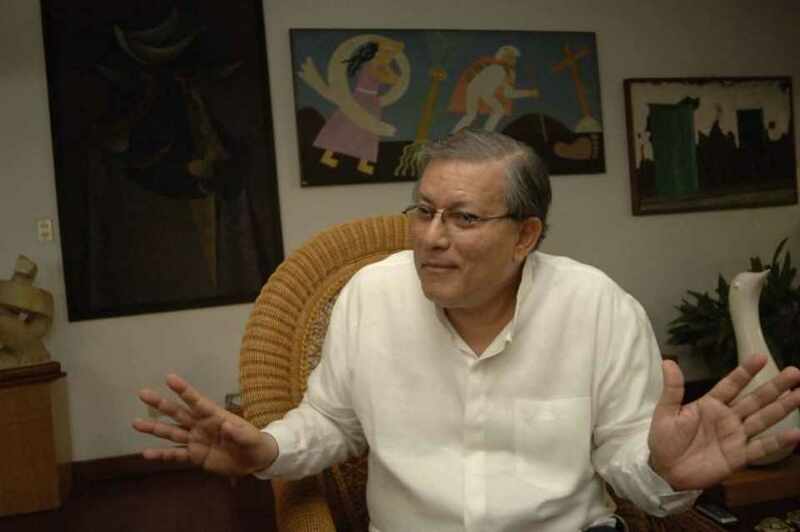 Much less, did Somoza go against the Catholic Church,” says Oscar René Vargas, a sociologist and veteran Sandinista. In October 1977, Dora María Téllez entered from Honduras with a guerrilla cell whose purpose was to take the border city of Ocotal. Daniel Ortega was also in the cell. An unexpected incident caused the guerrillas to clash with the national guard shortly before reaching Ocotal, on the San Fabian ranch. It was a deadly ambush for the national guard. Téllez, 21, was handling an M30 machine gun. Ortega, 31, led with other commanders, from a hill about 300 meters from the farm. 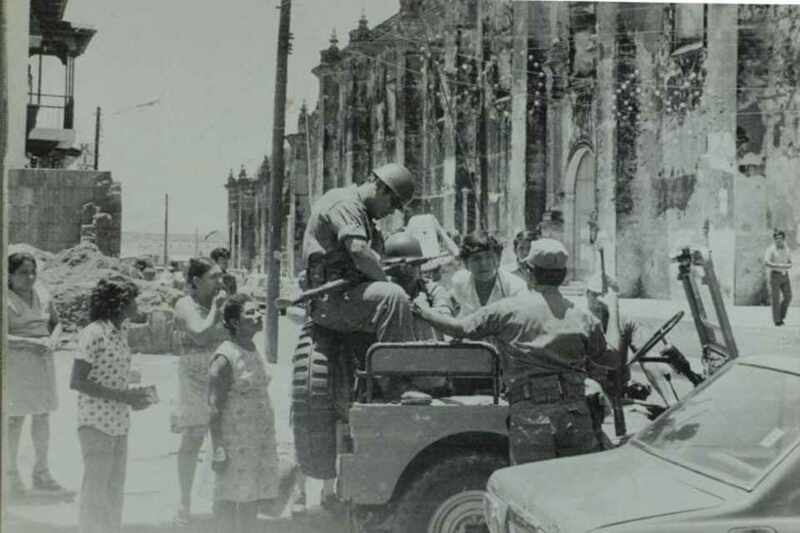 The raid was part of an ambitious plan of the ‘tendencia tercerista’ of the Sandinista Front called “Ofensiva de Octubre” (October Offensive) that aimed to take several cities and from there to advance, in a generalized insurrection, that would overthrow Somoza and allow the installation of a provisional government. The plan failed militarily, but it turned out to be a good propaganda coup to show that the guerrillas who, until then lived in hiding, were alive and active. Now Téllez fears for her life. She has received multiple threats from the regime led by her former comrade-in-arms. In the official propaganda she is made out to be the grand leader of the social rebellion against the regime. The police has mentioned her several times as responsible for “vandalism terrorism” that, according to them, the country suffers, and in more than one video made from the dungeons of El Chipote prison, some inmates have appeared repeating, with an obligation on their face, the official libretto that holds her responsible as the leader of “criminal activities”. The fear is not only to fall prisoner, but, says Téllez, that someone murders her in the streets as happened to Carlos Guadamuz in 2004. As if it were a déjà vu, Dora María Téllez again hides, as she did 40 years ago, from a regime that wants to kill her or imprison her. The ghost of exile and the undergound camps out again in Nicaragua. One hundred days after the rebellion, the Asociación Nicaragüense para los Derechos Humanos (ANPDH) – Nicaraguan Association for Human Rights – reported the disappearance of at least 718 people throughout the country. “These are kidnappings executed by unauthorized armed groups known as parapolicias,” the report said. 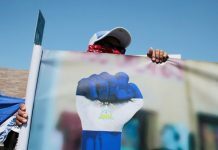 The Inter-American Commission on Human Rights (IACHR) described this hunt as the “third phase” of the repression in Nicaragua. Many former fighters against the Somocistas have seen their days of persecution, threats, imprisonment, torture and exile come back to life. Almost 40 years ago, “Alfredo” – a resident of Masaya who for security reasons asked us to call him that -, lived the insurrection in Monimbó. He says that what is happening now is like watching the same movie over again. A few months ago he saw again the population overturned in that brave neighborhood, as in February 1978, and now he is fleeing to save his life because there is an arrest warrant for him, and hooded paramilitaries have come to his house to look for him. The executive secretary of the IACHR, Paulo Abrão, classified the phases of the repression of the Daniel Ortega regime in Nicaragua in three stages. First phase: It lasted until mid-June, and was expressed in a “traditional repression with the excessive use of police force directly against the protesters”. Second phase: According to Abrão, it includes the so-called “Operación Limpieza” (Operation Clean-up) that the Ortega regime developed, with the purpose of eliminating the tranques (roadblocks) through the use of paramilitaries and police against the civilian population. Third phase: Consists of the use of State institutions, the Police, the Prosecutor’s Office and the Judicial System, to criminalize the protesters. It also includes the approval in the National Assembly of an anti-terrorism law, which, according to the United Nations (UN), could be used to persecute peaceful protests. “There has been a process of transformation of the most crude, most explicit repression, a process of bureaucratic repression, using the institutions themselves, the justice system to arrest people, promote actions and judicial processes against them,” Abrão said. Then he went into exile. 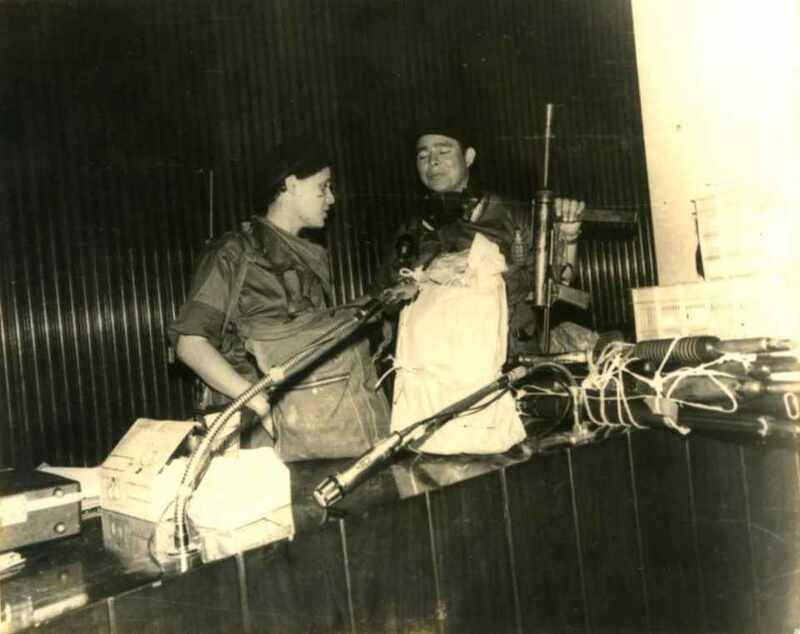 According to Vargas, the repression of the Ortega-Murillo regime only resembles the repression of 1956, after the attack against Somoza García. “At that time, the generalized repression of the Somoza dictatorship took prisoners of all those they could. However, never, as far as I remember, the relatives were never taken prisoner. Much less that Somoza lashed out against the Catholic Church,” he says. It establishes a fundamental difference with the repression of before and now. “In the Somoza period, I understand it because we conspired to overthrow by force (of arms), now it is a civic and peaceful struggle,” says Vargas. Dora María Téllez, commander “Claudia” in the guerrilla, believes that what is now is not an underground, but “hiding”. “The underground experience was inherent to those who opted for armed struggle and it was a different experience in the mountains than in the cities,” she says. “Alfredo”, now 57 years old, who began being a runner of Commander Hilario Sanchez in the insurrections of Masaya, says he did not imagine, at his age, living this again a situation of persecution. “I am accused of terrorism and related crimes by another dictatorship that crossed the line of legality and acts the same as the dictatorship we fought decades ago,” he explains through whatsapp messages. He is hiding. In “refrescamiento,” he says. But his intention is to return to the fight soon. “To the civic struggle,” he clarifies. In 1977, the year she participated in that guerrilla cell with Daniel Ortega, Téllez was tried in absentia for the crime of “conspiracy to commit a crime” and sentenced to seven years in prison. She remembers, however, that the public defender, a military officer, did his best to defend her. “Now there is no law at all,” she says. The foregoing is a translation of the article “El clandestinaje en Nicaragua en tiempos de Daniel Ortega” published in La Prensa Domingo, Sunday, August 12, 2018. Read the original.